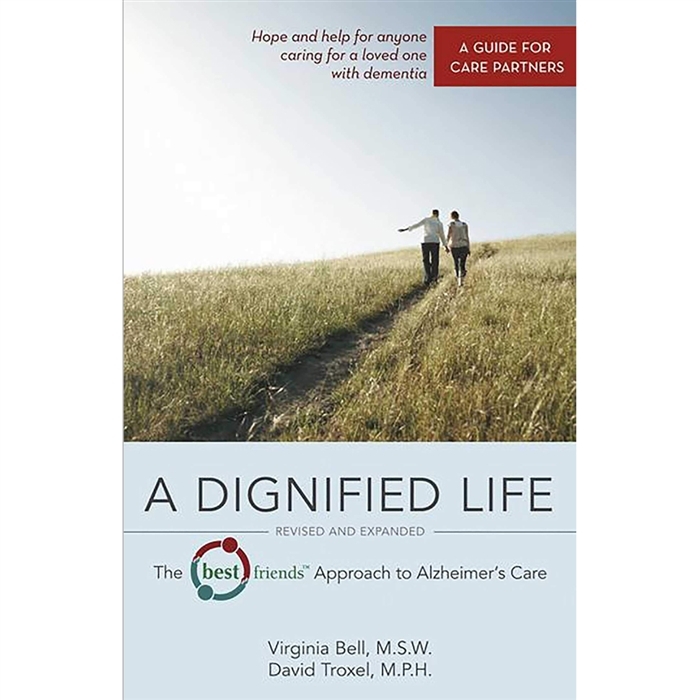 The Best Friends Approach to Dementia Care by Virginia Bell and David Troxel successfully implements the relationship-centered approach to dementia care that builds on the essential elements of friendship—respect, empathy, support, trust, and humor. Their Best Friends™ Approach redefines how we can enhance the lives of individuals living with Alzheimer’s and dementia. The Best Friends™ Approach is easy to master and apply. For decades the acclaimed Best Friends™ approach has been widely recognized for helping people with Alzheimer’s and other related dementia's experience meaningful engagement and dignity in all aspects of their lives. In this completely revised and expanded second edition, care partners learn how to apply the core principles of the approach through practical tips and instructive examples of Best Friends in action. An all-new section also provides a road map for creating and sustaining a Best Friends program. Virginia Bell and David Troxel are recognized internationally for their groundbreaking and innovative work helping people with dementia, their families, and professional caregivers. With more than 60 years of combined experience working in university, community, and adult day center settings, they have pioneered the development of an effective, meaningful model of care in the Best Friends™ approach to Alzheimer’s care. Virginia Bell, M.S.W., is Program Consultant for the Greater Kentucky/Southern Indiana Chapter of the Alzheimer’s Association. David Troxel, M.P.H., is a consultant about dementia across the continuum of aging care. He served for a decade as President and CEO of the California Central Coast Alzheimer’s Association, Santa Barbara, California (1994–2004), and was previously Executive Director for the Lexington/Bluegrass Chapter (KY) of the Alzheimer’s Association.